Flapjack is a british classic, the perfect energy boost at any time of day and ideal to put in your bag to take out and about. 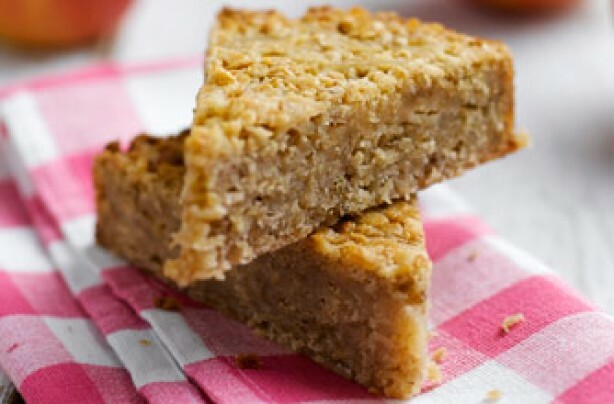 Whilst flapjack is full of great slow-release energy from it’s main ingredient, oats, it is unfortunately also full of butter, golden syrup and sugar to hold it all together! Making a healthier, but still satisfying, flapjack bar is no easy feat but we think we have done it with this simple, nutrition packed, no-bake bar, with healthy coconut oil instead of butter and extra nuts and seeds. All the chewy goodness and no butter in sight! Melt together the coconut oil, soft brown sugar, honey and peanut butter over a low heat in a large saucepan. Once this has formed a golden thick mixture, simply tip in the oats and mix. Follow this with the seeds, nuts, salt and apricots if you’re using them. Give everything a really good mix up and tip it into a lined, square loose bottom baking tin. Press it out firmly over the tin base and chill in the fridge for a couple of hours. Then all that’s left to do is cut it into pieces, and you have a great snack to take with you on the go.